Latifa Al Sultan, Business Development, Bilbayt with Ahmad Salamah (centre) and Ali Al Awadi, co-founders, Bilbayt. If you thought deciding what to eat for lunch each day was a difficult decision, imagine the planning that goes into hosting large social gatherings. With schedules getting busier, and with increasing instances of nuclear households, filling up food tables at meets has become a daunting task. From zeroing down on a catering service, coordinating with them about menu, ingredients, delivery- it has become an intimidating task in many ways. The team behind Kuwait-based Bilbayt.com noticed these sentiments around them, and decided to simplify catering services by making them “as easy as ordering food online.” Observing a growing culture of the region’s millennials entertaining through private gatherings, niche F&B players and SMEs too have introduced individual and corporate catering as a new revenue stream, and that’s where Bilbayt saw a need for its service. 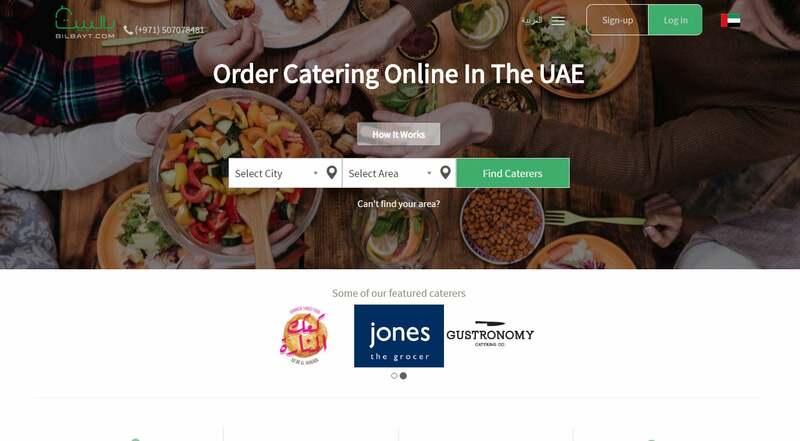 “We realized that in order to compete with established caterers, who have forged strong relationships with clients over years, these new entrants [SMEs] required a sales and marketing channel,” says Ahmad Salamah, co-founder and CEO, Bilbayt.com- an online ordering platform for catering services. With Bilbayt, Salamah, his wife Latifa Al Sultan, and friend Ali Al Awadi, wanted to plug the “massive information gap and lack of transparency” involved in traditional catering modes and aimed to satisfy needs of today’s consumers to add culinary variety to their social events. 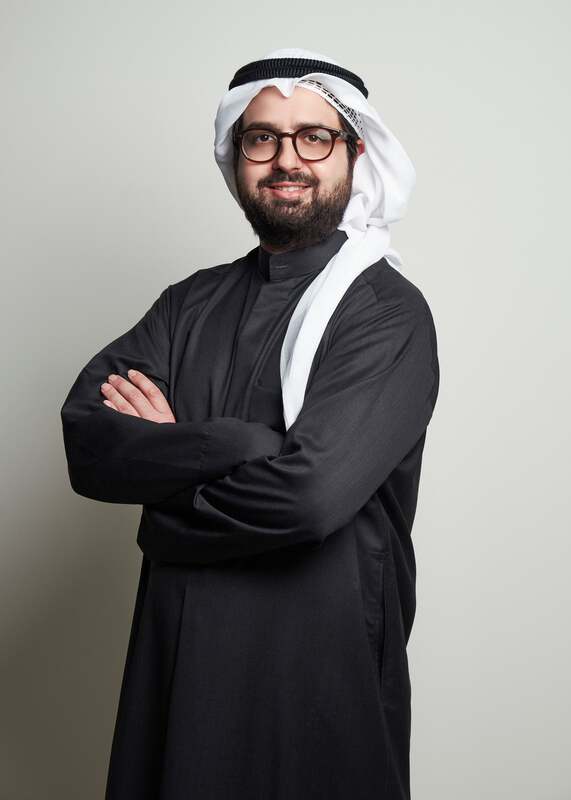 With Al Sultan as the go-to person for content, and Al Awadi managing operations (thanks to years of corporate experience), Salamah built the platform that connects consumers (individuals and business) with various F&B retailers covering buffet catering, cocktail catering, live cooking stations, and even food trucks. Launched in Kuwait in 2014, and having recently made their way to UAE this year, Bilbayt has over 100 caterers already signed up with them including the likes of Clinton Street Baking Company, Jones The Grocer, Shakespeare and Co., Wingsters, and others. Starting off by serving individuals hosting social gatherings, Bilbayt has seen growing interest from corporates (particularly in Dubai), on the back of its drop-off services. Even without “specifically pursuing corporate partnerships,” entities such as Dubai Expo 2020, Schlumberger, and others are regular clients, with a few “banks and telecom companies” also using the platform regularly, says Salamah. A Bilbayt catering event.Image source: Bilbayt. At this point, I decide to play the devil’s advocate and ask Salamah why a consumer should opt for Bilbayt to cater their events, and not directly order food online in bulk quantities. Salamah explains how his platform supports the end-to-end process of organizing eats for events, offering options of both drop-off and on-location catering. Bilbayt allows users to check caterer availability in real-time by using area, date, and event time as inputs. Further, picking a caterer becomes easier with information such as set-up time, set-up requirements if any, pictures, customer reviews, pricing etc. all hosted on the website. Besides being a novel business proposition and having a clean UX, Salamah credits cultural transformations in food as a key factor for rapid adoption of Bilbayt’s service. He admits to have noticed a major shift in users’ preferences in opting for “more affordable, casual catering options” compared to traditional ones. “For example, for roughly half the budget of a high-end caterer, one can order 3-4 different live cooking stations from different concepts, which are a lot more fun,” he notes. Even as marketplace ventures are being accepted by today’s internet and mobile savvy consumers, a key factor for their growth remains customer experience. Acknowledging the criticality of customer service, Salamah elaborates on Bilbayt’s due diligence process. Besides ensuring basics such as licenses and regulatory paperwork, Bilbayt claims to curate its caterer portfolio based on food taste, quality, brand, and popularity. “We actually spend a lot of time at food festivals and events, like Ripe Food and Craft Market, trying out food and checking out which vendors are the most popular,” he says. Owing to their market expertise, the startup also often helps their F&B partners curate and develop menus. However, like any on-demand venture, though Bilbayt is involved right from placing the order to receiving customer feedback, the startup has no role to play in food preparation or logistics. Talking about the diversity of the markets they serve, Salamah says the UAE is quite different from Kuwait. 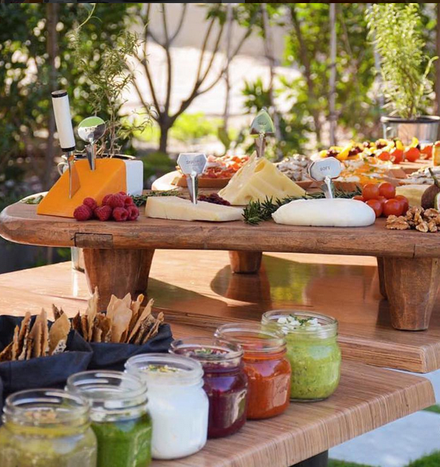 “We see most people opting for drop-off items, like canapés, bites, platters, and the like for smaller social gatherings, while in Kuwait people opt more larger set-ups, like live cooking stations,” he says. As for financial support to scale, Bilbayt’s strategy (which Salamah recommends to other startups) of approaching investors only post earning significant revenue seems to be a sound move, considering the current investment trends in the food-tech space. The law of averages is playing out in the sector, which started off with a bang but is now seeing declining funding action. Bilbayt bootstrapped its way until it achieved “meaningful traction,” and then raised a seed round of US$220,000 in 2015 from friends and family. Salamah and the team are now in the process of closing their latest round of around $600,000 from initial investors. Salamah adds that the startup has had a “positive experience” when it came to pitching for funds. “The advantage of fundraising with a post-revenue startup is that you have actual revenue figures built into the model, making it a lot easier for investors to visualize growth,” he notes. Despite what it may be called -the gig economy, shared economy or on-demand model- the core proposition of the new age marketplace businesses remains customer value-add and convenience. Salamah agrees that to protect market share in such a crowded on-demand sector, “the only variable we [Bilbayt] can control is execution.” While the model starts with building the supply side -the caterers, in Bilbayt’s case- Salamah considers growing the demand to be a greater challenge for Bilbayt, given the novelty of its offering. As for the road ahead, Salamah says that Bilbayt is focusing on making a transition from “unstructured growth to structured growth,” which he says, will involve investment in developing their analytics and reporting infrastructure. The startup is also revamping its UI/UX, and not surprisingly, is preparing for the launch of its mobile app, which it expects to go live by “start of Q4 of 2016.” With these plans and with intentions to kickstart a referral program, Bilbayt expects its user base to grow from the “thousands to the tens of thousands.” After the UAE, Saudi Arabia and Qatar are also on Bilbayt’s radar for expansion, and the startup is also considering the Europe and the US markets in the long-term. And what does Salamah count on to ensure Bilbayt stands apart from competition? “Build an awesome product, use data to drive your decisions and optimize your business, and maintain great customer service,” he says. Ahmed Salamah, co-founder and CEO, Bilbayt. Image source: Bilbayt. What, according to you, are the biggest challenges for entrepreneurs in the region? What are your top tips for an entrepreneur to start a business in the MENA region?